The Wiwi Jury — our in-house panel of music unprofessionals — continues to rate and review the 41 competing entries of Eurovision 2019. Next we take a look at Romania, where Ester Peony has “On a Sunday”. Do we also see things happening for her on a Saturday? Read on to find out? Lucy: This was my initial number one in the early stages of song releases, but it’s managed to stay in my top three now we have all 41 songs. The hook of “pay-ay-ay-ay-ay” is so good and it sticks. The beat of those drums brings you in and doesn’t let go, and the video to accompany the track is as haunting as the song itself. This is art, and Romania’s best effort in many years. I can’t see this not bringing them back into the final. Angus: Sunday is meant to be a day of rest, but listen to “On a Sunday” one too many times and a sleepless night lies ahead. Romania has a whole world of good things going for it this year. Ester, for starters, is entirely captivating and has a killer vocal at her disposal. Add on top “On a Sunday” — itself at different times an ethnic ballad, electropop banger, flush with stuttering synths and entrancing beats — and you have a powerhouse package on your hands. Normally I turn in the opposite direction of darkness, but in this instance I want to embrace it. Kristin: “On a Sunday” is quite a moody song. It delves into several genres, such as R&B, soul and blues and Ester Peony is definitely determined to do better than The Humans did last year in Lisbon and she just might do so, if the staging is right. She has a nice voice and is clearly passionate about what she’s doing. However for me, the song falls kind of flat. It’s not bad by any means. It’s just sort of middle-of-the-road and leaves little impression. But if Ester nails the staging and live performance, she might change my mind. Until then, I’m rather unimpressed. Deban: Ester Peony’s delicate voice offers an interesting counterbalance to this tragic narrative. The core theme here is unrequited love, and a painful breakup. Unveiling a vision of beauty whilst recognising the trauma of love, the gritty soundscape here is set in Dracula’s castle. Sophisticated in tone and packed with artistic merit, this entry will hopefully launch the career of an emerging star, and place Romania on the left side of the final scoreboard. Josh: “On a Sunday” is a strong song that tells an emotional story that draws you in, and Ester’s voice just oozes an innate unique charisma. You feel her pain and longing, hoping her man comes back to her one day. While some may say this is a boring song that stays on one level for too long, the driving beat and Ester’s masterful vocals take us for a three-minute ride that you almost can’t believe happens. The guitar instrumentation sounds almost country-western or ripped from the sound track of a Western movie, but the driving synth beats take this into a whole other realm. Don’t underestimate its potential! Robyn: “On a Sunday” wasn’t even on my radar earlier in the year but lately it’s become an earworm that’s proved impossible to shift. Ester brings a cool, almost jazzy quality to the song, mixed in with gothic electronic sounds. The song promises to bring strong staging to the Tel Aviv venue and there should be no question of Romania making the grand final this year. Re Romania vs Portugal. 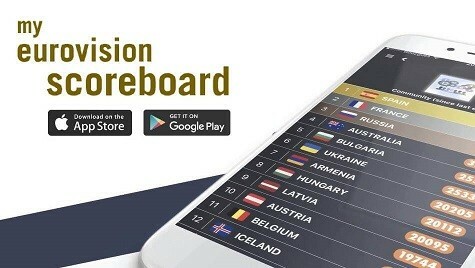 While Romania has a higher average, Portugal has more higher scores. Portugal also has more lower scores. In Eurovision voting terms, if someone considers a song a 3/10 or a 7/10, they probably won’t vote for it. But they would be more likely to vote for a 10/10. “Telemoveis” is a divisive song, but the people who like it really like it. And a 10/10 for Robyn. I like it how you interact with the posters and clarify some points. But, seriously, it’s only less than a month from the semifinal and we are still in debate about the Romanian selection? Good God, get a grip, girl. Unrelatedly, Ester got 6 as her running order, consider her safe for qualification before the first rehearsal. After each rehearsal, then we can holistically review each entry since that’ll be their full package. Hahahaha! That’s all I have to say. I want to try what you guys have taken while reviewing this one. Just joking. But I don’t really understand how a dull, bland and unisteresting song like this one gets a 7.04. Taking the resuls Croatia and Latvia got last year with better songs in the same style, I don’t even think Romania is a qualifier. Romania is in my 37th place. Boring. I’ll join the 3/10 points-jurors. This song is SOOOOO BORING! The Pay – ay – ay – ay is really not that good a hook at all, and whilst it will stick with some after one listen, it’s not the kind of catchy hook that’s getting people voting for it. This has a shot at qualifying because of the Romanian diaspora in the televote, but if a country like Ireland sent this it would be going nowhere. Judging by already months of front stage exposure, the Romanian response to the song is very close to 0. And rest of Europe response is half an inch higher. To qualify this song would need a wow-wow-wow element from the staging and a love from juries Romania never had. In itself the song and the singing has bottom list written all over it. We already knew how the wiwi guys feel about this one..despite their impartiality. Darren, Ester will be accompanied by two male dancers (one of them extremely good looking with an amazing jaw line) and Alexandru (with the guitar). There will be two backing singers but it’s unclear to me whether they’ll be on stage or somewhere off the main stage. Franka had 2 backings and Laura something like 4 I think off the main stage. I am in love with this song, I can listen to it all day long. I am though a bit worried about the marine life visual effects if they do them for the stage performance. I read here IIRC there will be no drummers? I loved the drummers during the national final, the song welcomes rhythm/beat. I don’t know, that should be incorporated somehow, at least in my mind. I am not saying I know better. But still, it’s my #1. I changed my top several times already – other than my #1, that is. They *will* keep some of the visual elements from the video. And no place for drums unless the dancers will use them somehow. My #1 as well! That’s so nice of you 🙂 Thing is that people that dislike the song are affected by the fact that their favourites lost. There’s a degree of irrationality there and lack of emotional intelligence. Tastes differ widely but there is a big difference between being subjective and being objective. Tibor, I also like Ester’s pitch towards the end of the song! My interpretation is the following: she uses the singing rather than words (which are also sung but sorry, I have no idea how to explain this!!!!!) to convey the pain and grief and sorrow. And the falsetto in the highest pitch (not a specialist here, maybe I am using the right technical term?) is for conveying her emotions almost as if she was crying. Technically I think that is more difficult to convey, rather than just singing words. So an extra point from an unprofessional fan. LOL. Is there a recap somewhere of the songs rated so far ? This song sounds much better in live. I don’t like the studio version. Too much artificial effects on her voice. I love this one. Ester is simply a sublime vocalist. The song gives me tingles. I feel her pain, her emotion, her desperation down on my spine. How funny wiwi announced the scores of my two favourites, Greece and Romania the same day. Yeah! Actually we have three strong songs reviewed in a row – Portugal, Greece, Romania! All of them are in my Top 12. Portugal is all yours brate. That is a very sad case, indeed. Sabrina, it seems that they will keep the visual effects. My hope is that they will do an awesome job out of it. I’ve there is a lot in the store in Tel Aviv from a TV state-of-the-art technology point of view and I am so curious to see the live show. There’s input from the technical teams in Tel Aviv, not only from the artist and delegation so my hopes are very very high. They already have the difficult part figured out, since they have a clear concept. I hope they’ll now focus on improving every particular aspect of it. Yes. But the one thing that I would focus on would be Ester’s facial expressions. They were awesome and amazing in the Romanian semifinal – a bit more neutral so to speak, not so much in the national final when she made some grimaces that came across off-putting. I would lile it more if it wasn’t for all the ‘uh’, ‘ah’, ‘eh’ and other similar endless sounds. I find them very irritating. And 7.04 is too much I think. For me it’s a solid 6/10. The fact that this got a lot of 8s and 9s is surprising given that everyone hated it when it won Selectia Nationala. Personally the song does nothing for me and it’s telling that the bookies currently don’t think it’ll qualify. Actually, On A Sunday was mostly in people’s top 10s of Selectia nationala, so very little people hated it. Until it won, that is, but that hatred was mostly due to the way it won, rather than the song itself. It’s not like everyone hated it. Most people liked 2 songs, performed by 2 of the most known names in Romania. They voted for the names, not the songs, and the loss of their favourites led to irrational hatred towards On a Sunday, a complex song altogether with near perfect delivery of a very talented, hardworking, versatile, complete and enthusiastic artist that is Ester. This song will do very well with the jury. Romania has lost the direction. Their last good effort has been Yodel it. And that’s much said. This is not going through. Kinda backed yourselves into a corner with this one. I used to like it more, now it just sounds boring to me. It’s an “ok song”. I think she will struggle with the public vote outside the diaspora zone, but the juries might push it to qualification. By the way, why didn’t this review come out on Sunday? Missed opportunity, Wiwibloggs. Yes, I can’t stop crying. Ester lived in Canada for some time. Stays at my playlist, one of the darkest tracks with one of the most successful running order in the competition. Easy, tt’s a matter of taste. Wow, lots of respect (Divaz say hi) for writing such an in-depth analisys! Thanks Skiwalko. But I didn’t understand the reference to Divaz? William and deban for how long are u gonna pretend u really like this song?? As long as that song exist, I guess. The song itself is good, no doubt. Yeah it was never a bad song, and Ester is a good artist. It was just from a National Final where the audience vote vastly disagreed with the Jury vote in a very big way. Why choose Ester when you know Laura Bretan could have reached top 5 ! Dear Father was not good enough. Had it won, Romania would have reached page 1 of international media for all the wrong reasons. That don’t have anything to do with the song. In a *song contest*. Or, are you suggesting that Romania’s song has been scored too highly? I’m not even bothered about the higher average rating (honestly, I imagine a lot of people might give Conan a 1/10 or 2/10 to go along with those 10s) but what bothers me is the amount of jurors who gave Romania a 9+. It’s a pleasant song but come on…it’s not that exciting. I have no connection to wiwibloggs, but I am ready to bet actual money that Romania will do better than Portugal. When On a Sunday gets higher than telemovies…. I love this! Mysterious atmosphere, charming, vulnerability combined with strength, playing with sounds (ey ey ey), really really strong entry! My 4th place overall! 9/10. A decent effort and the staging at the NF really popped. Romania seemed to have better choices. The song is not very immediate though and may struggle with a lot of similarly themed songs in the semi. She is vocally good though. Like the dark edge. A 6.5/10. The running order with Similar themed songs around is bad , reduces half a point.There is diaspora but the NF drama seems to have irked them , another point lost. A 50% chance to qualify. About the running order, the MYESC has shown the statistics of running order and 6 is one of the best numbers to qualify. It doesn’t matter anymore. The milk has been spilt for this country. And as far as this jury goes, this one will be “Calm After The Storm” in reverse at Eurovision. It’s no mystery why the guy left. After seemingly a million “pay-ay-ay-ay-ay”-s, he was probably lucky not to have died of boredom and annoyance. I genuinely find this bad, even without the scandal story as its background, which adds insult to injury because Romania could be number one in the odds now. A lost cause and a lost opportunity through and through and the loss of what could have been this year’s defining moment at Eurovision. I’m sorry, but I wholeheartedly doubt that Dear father could have been any defining moment. Yes, it would have been a far better choice than this mushy, grey song, but it wasn’t a winner in my eyes. I think she would have made the competition wide open and given the favorites a run for their money. You know that I was quite enthusiastic about “Arcade” when I first heard it, but I have considerably cooled down now. To me, there is no clear winner this year, nobody that much stronger or better than the rest. Italy and Slovenia for me, but both countries are not known for nailing their stagings. I don’t see “the winner”, I see a bunch of entries with realistic chances and Laura would have added to that excitement a great deal. I’m still VERY enthusiastic about the Netherlands as well as Italy and Slovenia. 🙂 (My 1st, 2nd and 4th place) But yeah I know what you mean. Maybe I’m a bit biased, because I’m not the biggest fan of Dear father myself. I can see the potential tho and at least it would have been a song many people have a strong opinion on. I detest gushing religious songs so it was a no from me. bella was my favorite but Ester will do ok I Think. I like it. I’m not wild over it as much better stuff in the contest. Btw, I really appreciate the “mushy, grey song” part. It feels good when a couple of others express the truth as well from time to time. That list makes Greece even stronger. Yeah, highlighting Romania as a freaky religious and homophobic country with a representative having made political propaganda in a referendum on a sensitive topic – being below 18 years old and a US citizen. She only got the Romanian citizenship in 2019 according to the young lady herself. Guys, it’s been (exactly) 2 months already! We don’t need to go back to that. Yeah. Sure. Better highlight the country with a drag that nobody will remember. Well, we all now. don’t we? Yes, me too. I gave it a 10.